On this day in 1863, Heineken Brewery (formerly the De Hooilberg Brewery in a building named, “The Haystack”) was founded by Gerard Adriaan Heineken. Currently, the Heineken brewery is the largest brewery in Amsterdam (and in all of Europe!). 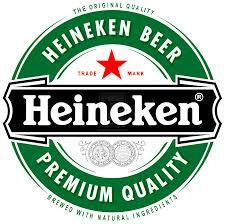 Did you know that Heineken has over 80 beer recipes in there beer portfolio? Which ones have you seen before? Previous Post Christmas is Coming! You’d Better Watch Out.